The Shore Haven Resort Inn is a unique property with quiet, relaxed ambience and many happy returning guests. 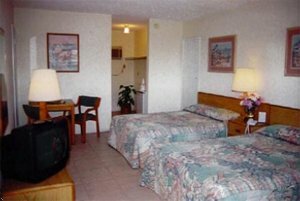 The Shore Haven Resort Inn is well maintained and beautifully landscaped with exotic plants. The pool is pristine and lighted at night. The hotel is 1 1/2 blocks from the beach, in the heart of the resort area of sunny and exciting seaside town of Fort Lauderdale. The hotel is managed by its owners who take pride in their work. Economy guest room with 2 double beds. Rooms could be corner rooms or rooms without a view, include full bathroom and refrigerator. Standard guest room with 2 double beds. Room includes medium-sized refrigerator, coffeemaker, and full bathroom. Tastefully furnished. Large studio/efficiency apartment with 2 double beds. 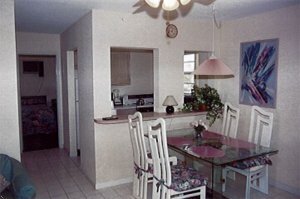 Apartment includes full kitchen, oven, microwave, large refrigerator, and ceiling fan. Tastefully furnished. One bedroom apartment with double bed. Apartment includes full kitchen, separate living room, dining table, sleeper sofa, tastefully furnished and modern, and the most spacious and the highest standards room at the hotel. From the airport, take I-595 West to I-95 North. Go North on I-95 until Exit #32 (Commerical Boulevard). Take Commercial Blvd east until Ocean Drive (A1A). Turn left (North) at the intersection of Commerical Blvd and Ocean Drive (A1A). 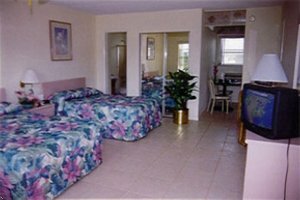 Shore Haven Resort Inn is located 70 yards North of the intersection of Commerical Blvd and Ocean Drive (A1A) on the West side of Ocean Drive (A1A). From the airport, take Airport Expressway east to I-95 North. Go North on I-95 until Exit #32 (Commerical Boulevard). Take Commercial Blvd east until Ocean Drive (A1A). Turn left (North) at the intersection of Commerical Blvd and Ocean Drive (A1A). Shore Haven Resort Inn is located 70 yards North of the intersection of Commerical Blvd and Ocean Drive (A1A) on the West side of Ocean Drive (A1A). From the airport, take I-95 south. Go North on I-95 until Exit #32 (Commerical Boulevard). Take Commercial Blvd east until Ocean Drive (A1A). Turn left (North) at the intersection of Commerical Blvd and Ocean Drive (A1A). 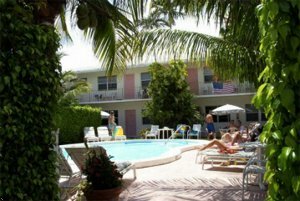 Shore Haven Resort Inn is located 70 yards North of the intersection of Commerical Blvd and Ocean Drive (A1A) on the West side of Ocean Drive (A1A).